So far Kerry County Museum has created 56 entries. 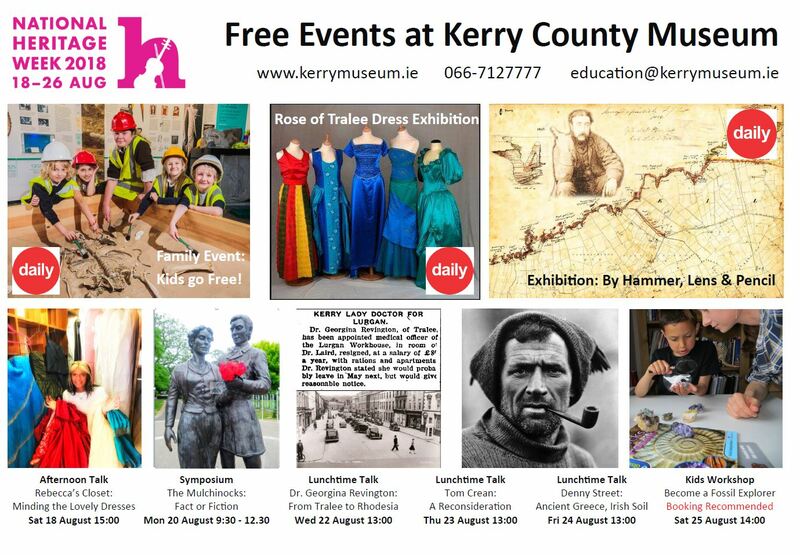 Kerry County Museum and Kerry Geo-Adventures are delighted to officially launch ‘By Hammer, Lens and Pencil. North Kerry Landscape in the eye of Frederick James Foot’ on Saturday 25 August at 4pm. Guest speakers include Prof Patrick Wyse Jackson and Museum curator Helen O’Carroll. This is a free event and all are welcome. 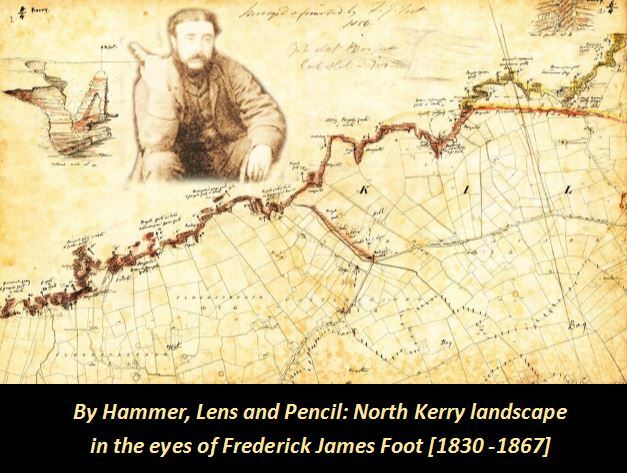 ‘By hammer, lens and pencil’ is a tribute to Frederick James Foot, an Irish geologist, who spent time between 1856-1859 surveying North Kerry landscape. 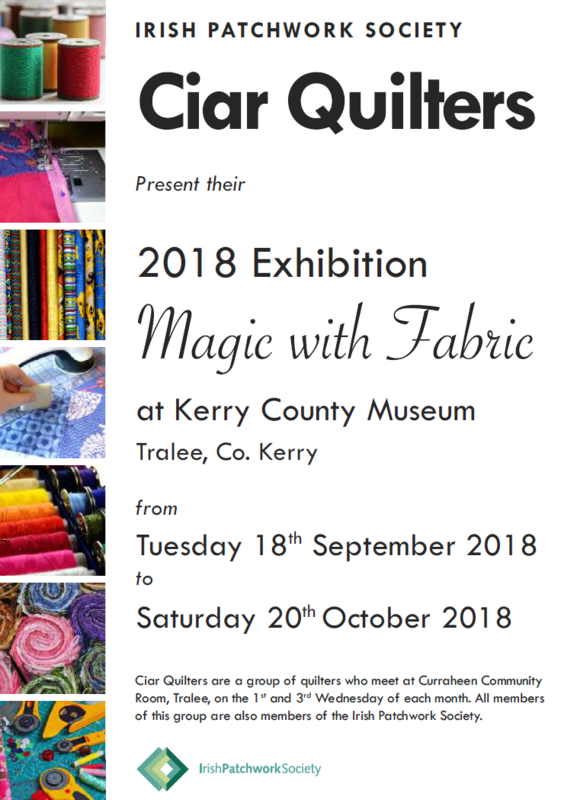 The exhibition is organised by local geologist Gosia Shaik-Horajska, founder of Kerry Geo Adventures, in partnership with Kerry County Museum. On display are his field-sketches and hand-coloured illustrations from North Kerry, with supporting specimens of minerals, rocks, and fossils observed by Frederick James Foot during his time carrying on extensive and detailed fieldwork. 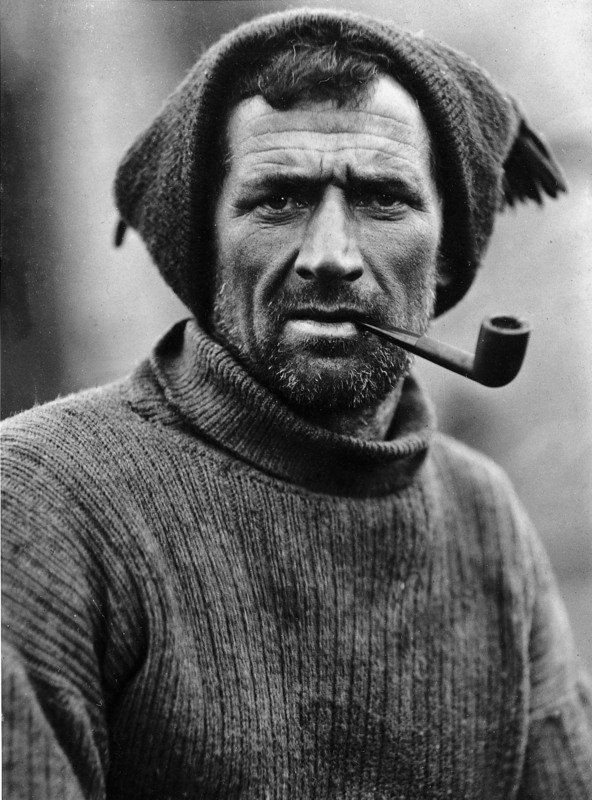 Also on display are fossils found during archaeological excavations of Ballycarty Passage Tomb, a selection of maritime objects from the Eddie Roe collection, as well as the spectacular ‘Kerry Diamond’ on loan from Kerry Library. ‘By hammer, lens & pencil’ runs until Saturday 8 September. We are open throughout the Rose of Tralee Festival and very much part of it! Our entrance may be hidden behind the big stage outside the Ashe Memorial Hall but access is possible at all times. Apart from all the fabulous events throughout the festival do also keep an eye out for our Heritage Week events. National Heritage Week runs from Saturday 18 – Sunday 26 August and all our events are free of charge. From Rose of Tralee Dress exhibition to lunch time lectures and fossil workshops for children, there is something for all the family to enjoy. For more event details check out the event section on our website. Happy Rose of Tralee & Heritage Week! Join us at the Museum on Saturday 23 June for Cruinniu na nOg – Celebrating Creativity for Children and Young People in Kerry. Are you brave enough to go on a Horrible History Tour at 11am, 12noon, 2pm or 3pm and hear all about Tralee’s gory medieval past? We are delighted to have Living History Group Deise Medieval on board for this event. This is your chance to take a look at a barber surgeon’s tool kit and discover strange disease and even stranger cures. A highlight for younger children will be the Punch and Judy Puppet Show at 2pm and 3pm. 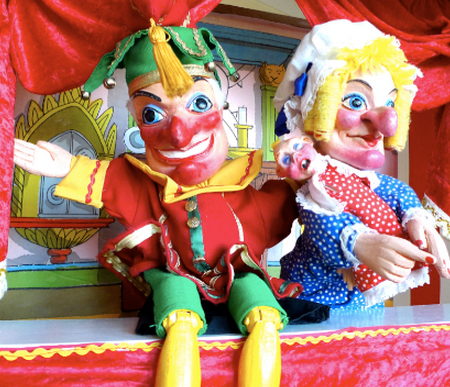 Mr. Punch and his wife Judy return to the Museum so be ready to laugh, shout and jump off your seats. Will the dog eat the sausages and will the baby be dropped? 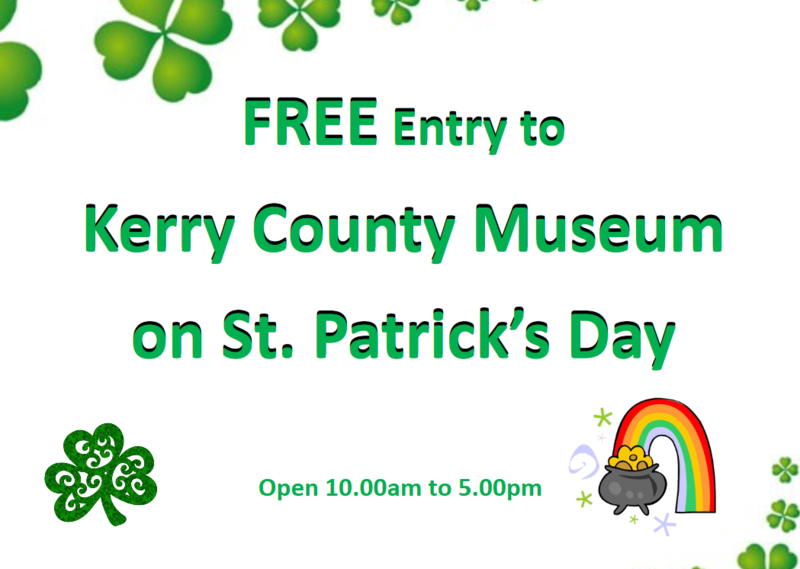 All events are free and booking is recommended but not obligatory: Contact education@kerrymuseum.ie or ring 0667127777. Kerry County Museum is delighted to participate in this year’s Park Family Festival, 15-17 June. 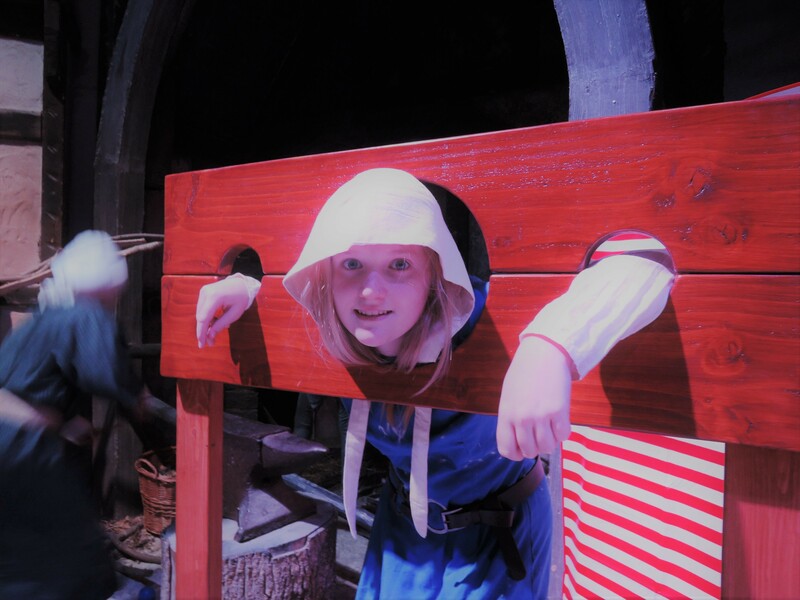 Our Medieval Experience will be free of charge all day Saturday and Sunday and it will be populated with colourful medieval personalities from 10am-5pm. Meet Lord and Lady FitzGerald on a stroll through Geraldine Tralee and find out why Lady FitzGerald wants to put her husband in the town’s pillory. Make your way to the local Inn where the chatty alewife is only too happy to tell you the full story! 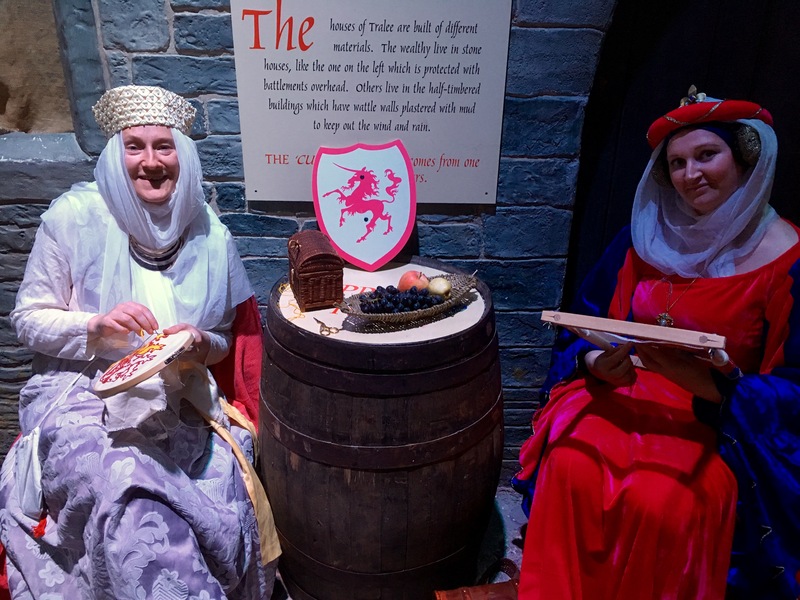 Kerry County Museum welcomes all members of the Tralee Medieval Society for “Slice of Castle Life”, an event not to be missed. From high life to low life, noble ladies to smelly sewers, this is a free fun event for all the family. We are now taking bookings for our summer camp in July. Explore history and archaeology through arts and crafts, workshops and museum visits, story telling, fun and games. Our summer camps for children aged 6-12 run Monday to Friday 9am-3pm. The cost is €80 per week; this includes all materials, workshops and a family ticket to the Museum. 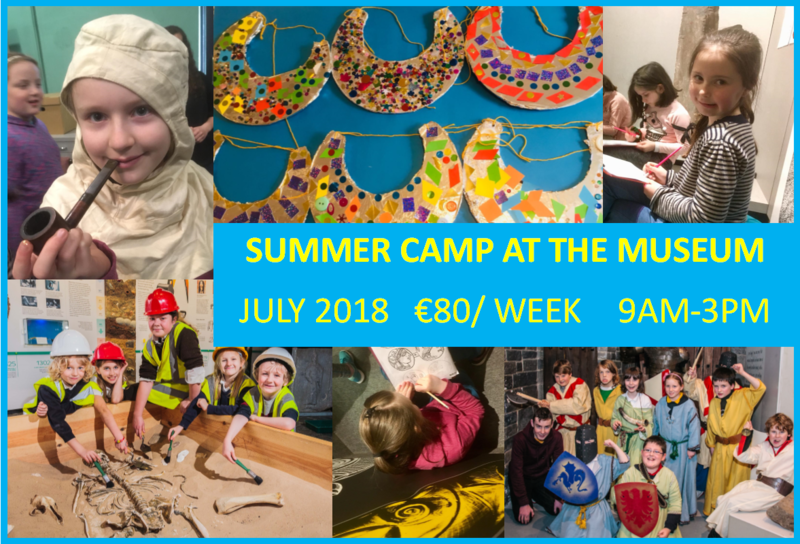 We are offering a great mix of fun and educational activities, small group sizes (maximum number of children per week is 16) and high quality activities by experienced, garda vetted facilitators. For more information or to make a booking please send an email to education@kerrymuseum.ie or call Claudia/Jemma at 0667127777. Please note that booking is essential and places are limited. 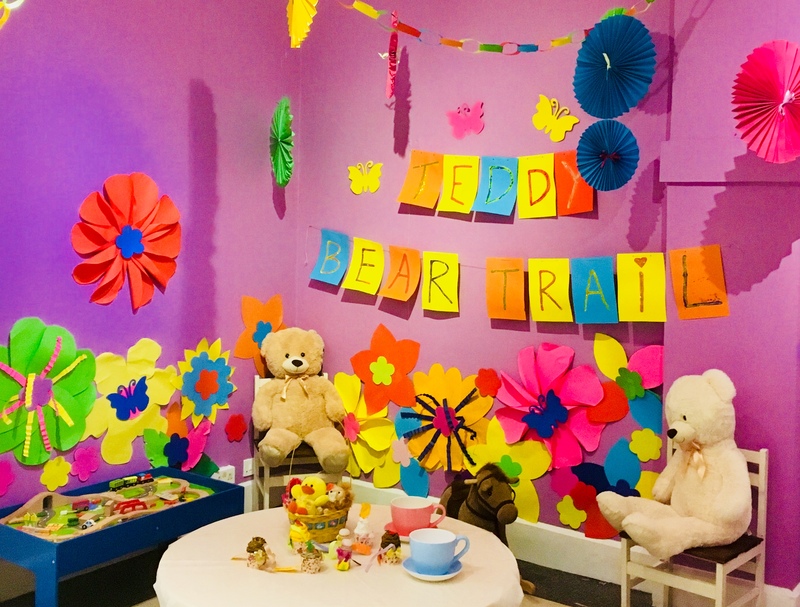 Become a family of explorers with our Teddy Bear Trail this Easter. We have discovery sheets for ages 3-7 & 8-11 and plenty of fun activities for all the family to enjoy. Family Offer: Kids go free, adults €5.